SilverCrest Metals Inc. is a Canadian precious metals exploration company headquartered in Vancouver, BC, that is focused on new discoveries, value-added acquisitions and targeting production in Mexico’s historic precious metal districts. SilverCrest is the first company to drill test the historic, high grade Las Chispas Silver-Gold project, which is a past precious metals producer. The Company is led by a proven management team in all aspects of the precious metal mining sector, including experience and success in applying a responsible “phased approach” business model in taking projects from discovery, finance, on time and on budget construction, and production with subsequent increased value to shareholders. SilverCrest Metals was recognized as a TSX Venture 50 company in 2018. TSX Venture 50 is a trademark of TSX Inc. and is used under license. 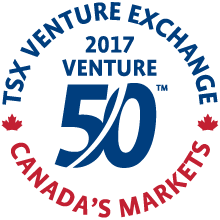 SilverCrest Metals Inc. was recognized as a TSX Venture 50TM company in 2017. TSX Venture 50 is a trademark of TSX Inc. and is used under license.